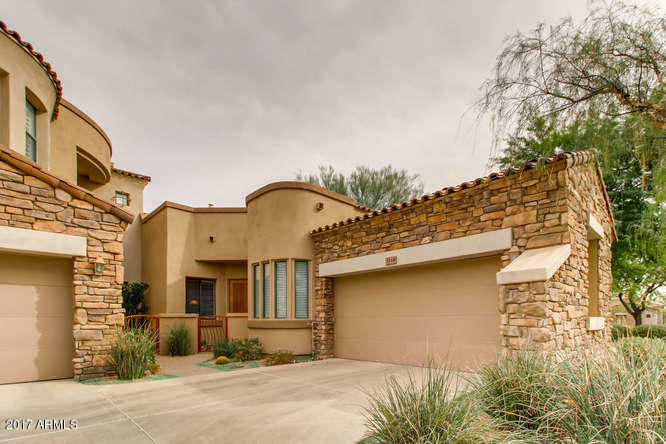 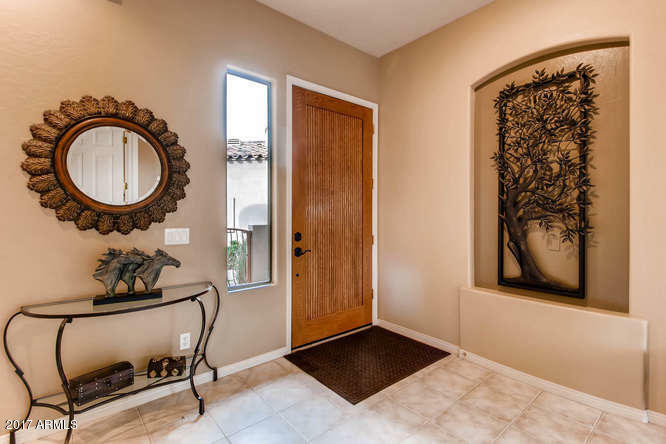 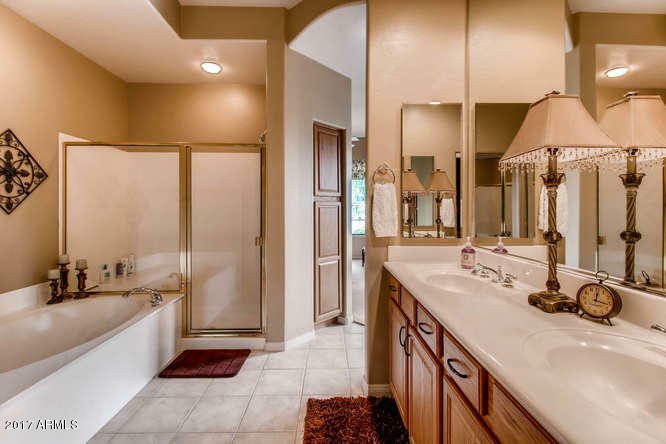 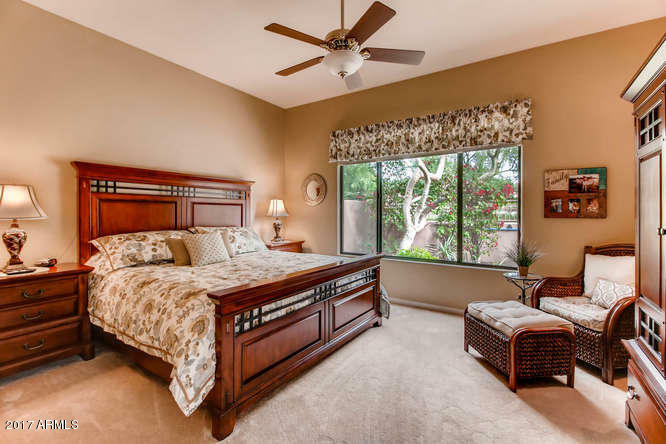 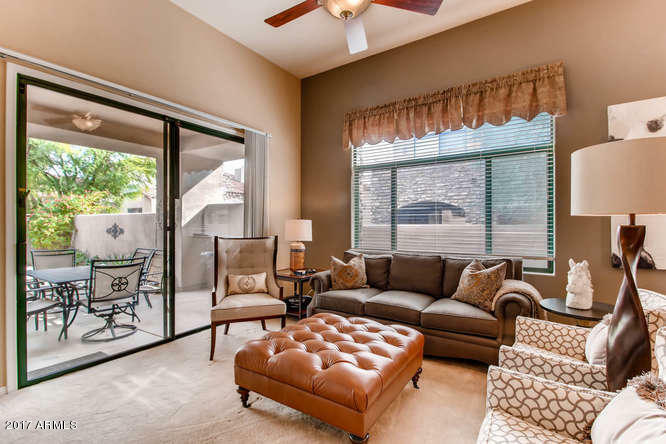 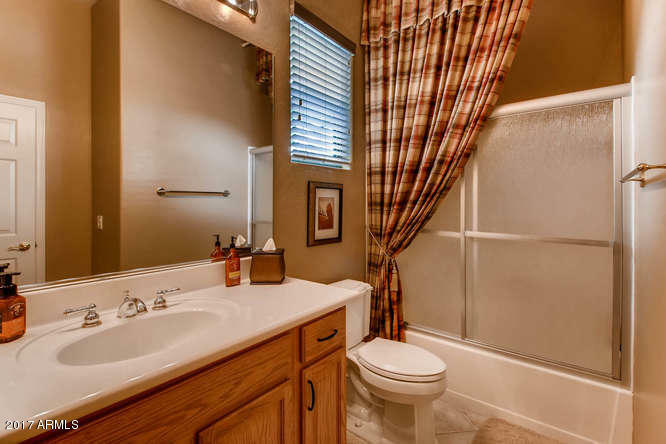 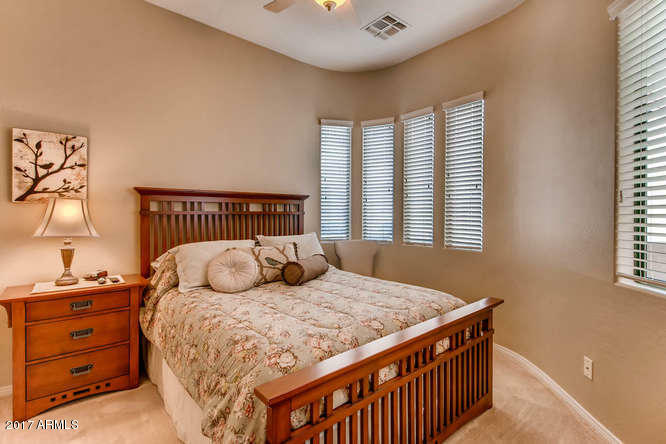 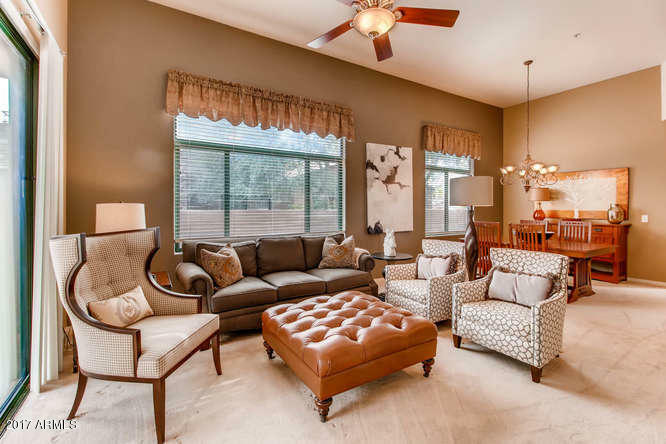 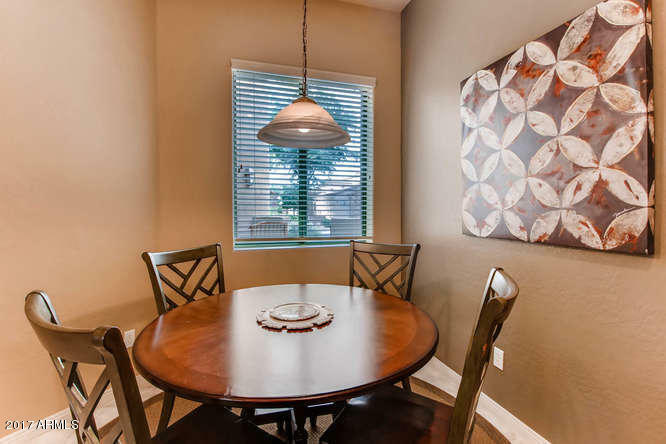 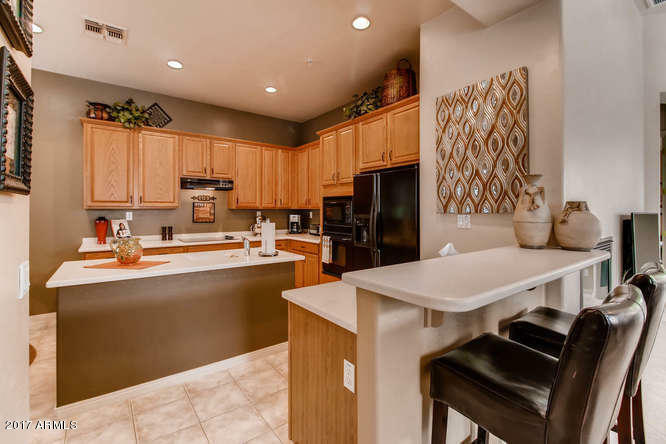 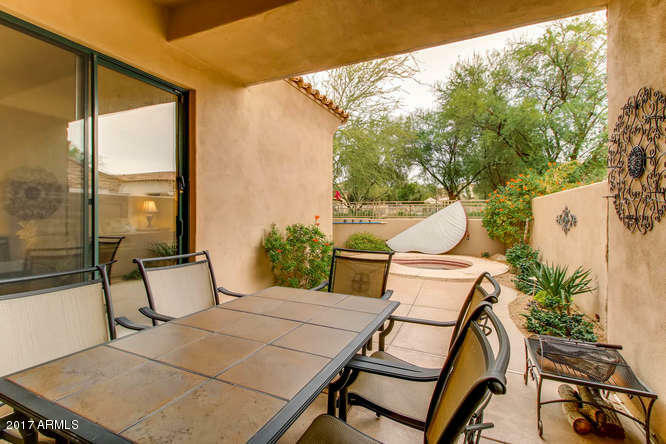 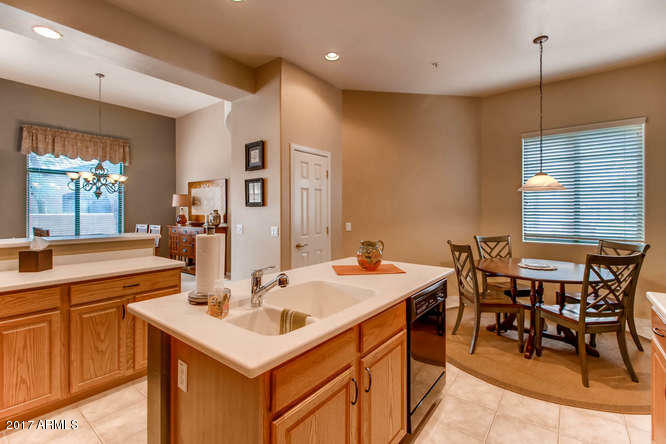 Rare Single Level townhome in exclusive Talon Retreat Golf Resort Community at Grayhawk. 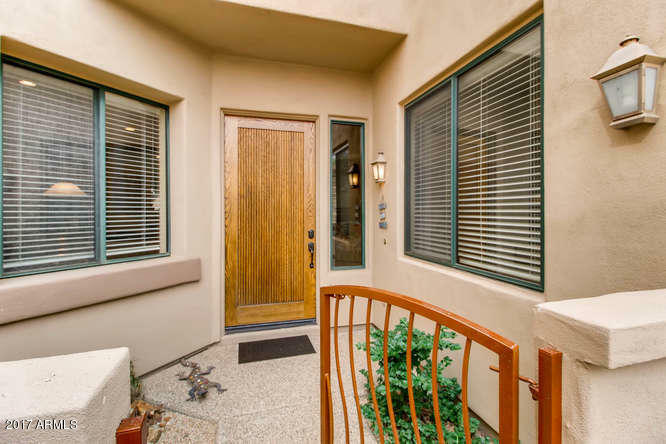 True 3br/2b with extended patio and private, heated, in-ground spa. 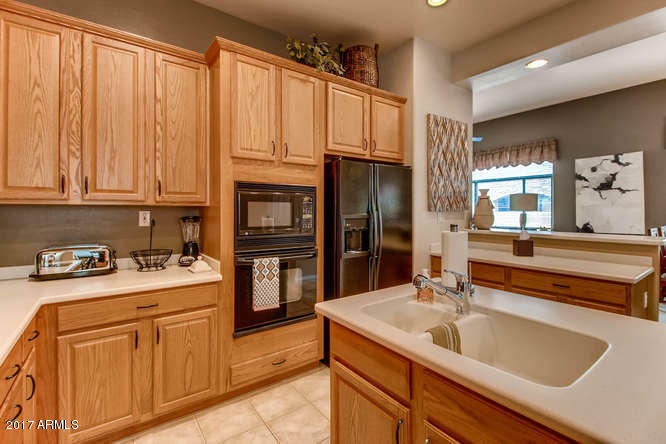 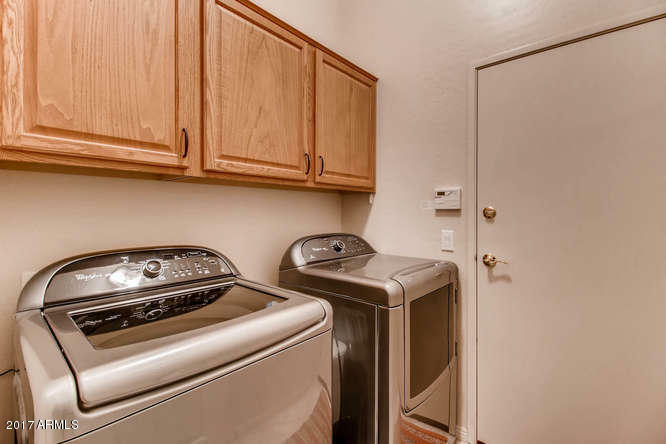 Premium Cachet lot overlooking the greenbelt.Chef's kitchen plenty of cabinet space and with deep sink. 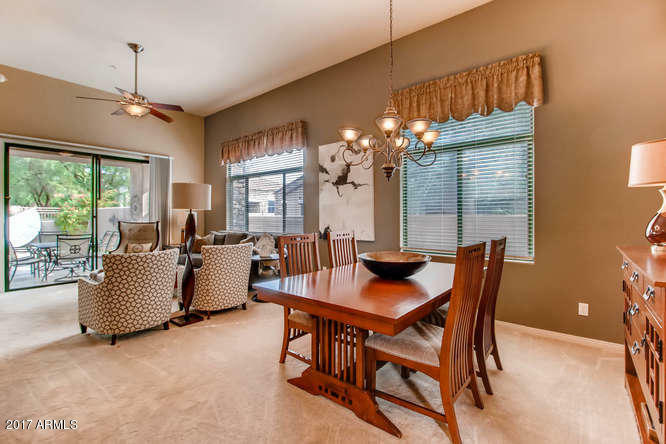 Upgraded carpet and tile throughout. 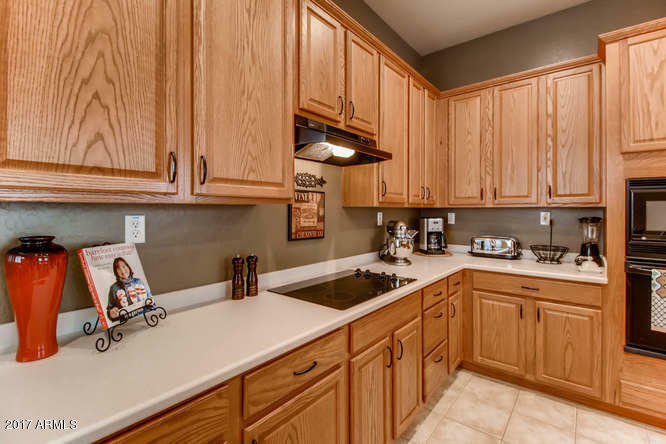 Upgraded cabinets, breakfast nook and bar. 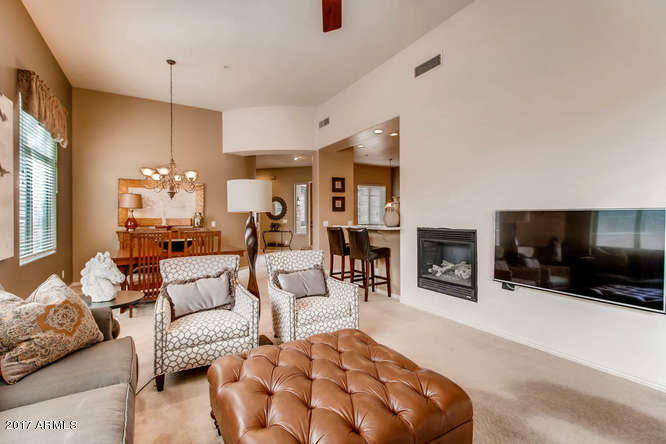 Great Room includes a cozy Fireplace! 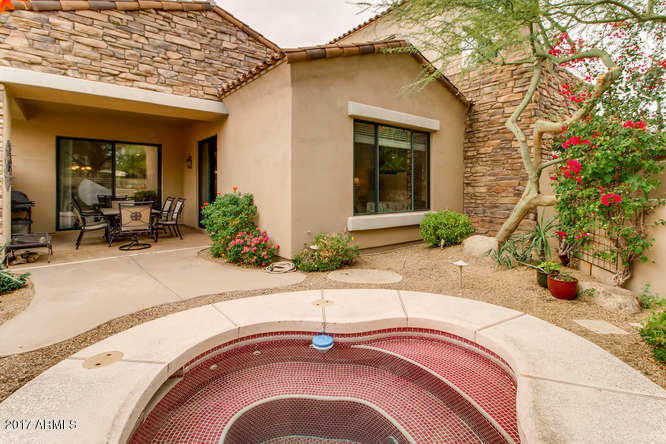 Community clubhouse, pool, spa and fitness center.